Surrey made their way to the four best teams of the T20 Blast while comprehensively beating Worcestershire by a margin of three wickets with 21 balls to spare. Warwickshire defeated the top team of South Zone, Essex, by 19 runs and deserved to be in the next phase. Both semi-finalists are equipped with commendable players and the spectators will witness top class cricket on the particular day. 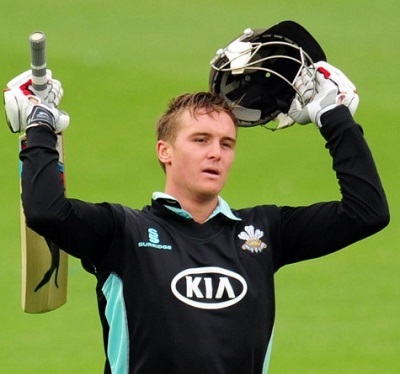 Jason Roy was the only batsman to score a fifty in the 2nd quarter final between Surrey vs. Worcestershire and that proved to be a match winning knock. He is the highest run maker in the event followed by his skipper, Gary Wilson and Kevin Pietersen. Azhar Mahmood is their best all-rounder whereas Matt Dunn, Gareth Batty and Robin Peterson have bowled excellently. Varun Chopra once again proved his class by plundering unbeaten 86 runs in the 3rd Quarter final for Warwickshire vs. Essex. Rikki Clarke stood firm at his end for 70, whereas William Porterfield and Laurie Evans are dependable batsmen. Jeetan Patel has grabbed plenty of wickets while Boyd Rankin and Recordo Gordon are assisting him well. Saturday August 23, 2014 @ 10.00 GMT, 11.00 local at Edgbaston, Birmingham. Considerable cloudiness with the temperatures around 13-19ᵒC. Surrey – Gary Wilson (C), Jason Roy, Tillakaratne Dilshan, Kevin Pietersen, Azhar Mahmood, Rory Burns, Robin Peterson, Zafar Ansari, Gareth Batty, Stuart Meaker, Matt Dunn. Warwickshire – Varun Chopra (C), William Porterfield, Jonathon Webb, Rikki Clarke, Laurie Evans, Ateeq Javid, Tim Ambrose, Recordo Gordon, Oliver Hannon-Dalby, Jeetan Patel, Boyd Rankin. Surrey will most likely move to the final.